The Xperia line can be tracked down to the days when Ericsson was in the mix and some may go as far as calling the Sony Xperia tipo a snapshot of that time. The tipo is based on a certain model in the Sony Ericsson lineup and there's no denying that it's a step down from the prototype in terms of equipment. 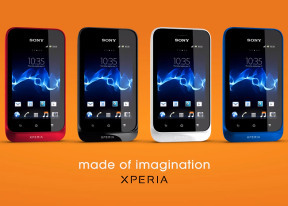 However, the Xperia tipo was never meant to be an upgrade of the Sony Ericsson Xperia mini. Like every true smartphone lineup, Sony's has to cover as many bases as possible, and cater to as many market segments as it can. It's more important to Sony to wrestle a few customers away from the stranglehold that Samsung have on the budget Android market than to prove anything to their ex allies. The Xperia tipo is a direct competitor to the Samsung Galaxy mini 2. In fact, the tipo is such a direct competitor to the mini 2, that when looked at purely from a hardware standpoint, it's virtually the same phone. The Samsung Galaxy mini 2 was released this past March, and features an identical HVGA screen, an 800 MHz processor on a very similar Qualcomm chipset, and the same 3 MP camera capable of VGA video recording. The mini 2 has a slight advantage in terms of storage space, a higher Bluetooth version, and optional NFC connectivity, while the tipo has the edge in battery capacity and, most significantly, it comes with Android Ice Cream Sandwich out of box. And, as if it wasn't close enough already, the two phones are virtually identically priced, at around €130. HTC also has a budget offering in the ICS-powered Desire C. Hardware-wise, it's very similar to the tipo, and the similarities extend to the fact that both HTC and Sony have dual-SIM versions of their entry-level droids. The Desire C may offer more appeal if you're planning on using the camera a lot, as it offers a 5 MP shooter, although it's a fixed-focus unit too and shoots only VGA video. There's also an inferior 600 MHz processor inside, but the HTC Sense UI, Bluetooth 3.0, and optional NFC connectivity may be enough to win you over. You will have to reach deeper in your pockets though, as the HTC Desire C can currently be found for around €165 and that's going dangerously close to dual-core territory if you as us. To make it more interesting, we're going to throw another mini into the mix. We mentioned the Sony Ericsson partnership in the beginning, and it seems that some devices which were released during that time are aging rather well - such as the Sony Ericsson Xperia mini. The mini was released a year ago, but has since received an upgrade to ICS, and new units even ship with the update out of box. The Xperia mini has the same HVGA resolution as the tipo, but on Bravia-enhanced, albeit smaller 3" screen. It boasts a more capable 1 GHz Scorpion processor and Adreno 205 GPU, but perhaps the most notable advantage is the 5 MP auto-focus shooter capable of 720p video. Best of all, the Xperia mini can be had for less than both the tipo and the Samsung mini 2, at around €115. Looking at the budget Android market, it's clear that many manufacturers are catching on that consumers are looking for some cheaper ways into Google's mobile OS. And while the midrange and flagship bar is oftentimes set at varying heights, the standard for affordable budget droids is unusually close - just see how close the specs of our recommendations above are. So, in the end, Sony is focusing on the current lower-midrange competition and trying to match the likes of the HTC Desire C and the Samsung Galaxy mini 2. From that perspective, it has done a reasonably good job with the Xperia tipo. However, it's very hard not to recommend the year-old Sony Ericsson Xperia mini over it. That said, the Sony's Xperia tipo will probably be readily available for free through carrier-subsidized deals, as the Sony Ericsson Xperia mini nears the end of its life cycle. And that might make the compact smartphone far harder to resist.